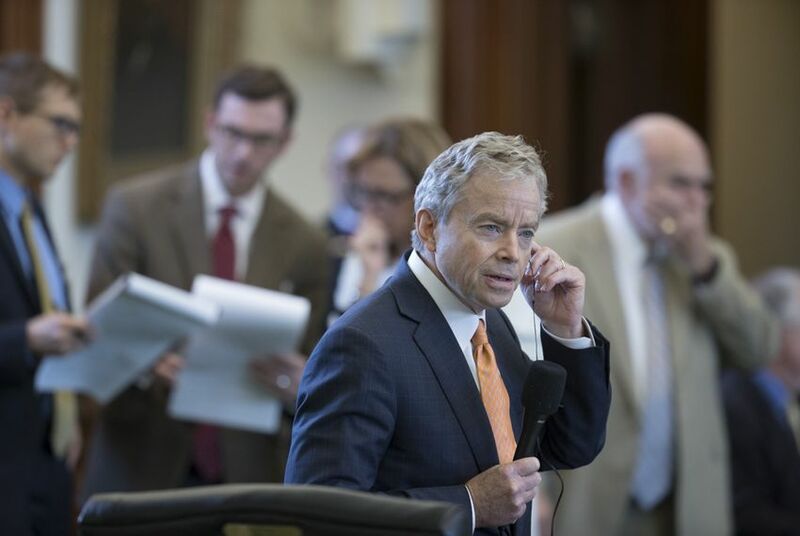 State Sen. Don Huffines, R-Dallas, met with Russian officials in Moscow on Monday, joining U.S. Sen. Rand Paul, R-Kentucky, on a trip that The Washington Post described as "a bid to increase engagement with the country." A spokesman for Huffines confirmed the trip, saying the lawmaker regularly hears from Texans who are concerned about the security of elections and "are alarmed by Russia's efforts to undermine our democratic institutions." The Texas senator's trip comes during a tense time for U.S.-Russia relations. In June, some Texas Republicans decried President Donald Trump after his meeting with Russian President Vladmir Putin, where Trump expressed doubt about the U.S. intelligence community’s consensus that Russia interfered in the 2016 election. Paul, who is a longtime family friend of Huffines, has been supportive of Trump's interactions with Russia, however. During Monday's meeting, Paul reportedly invited Russian lawmakers to meet with more members of the U.S. Congress. The U.S. Embassy in Moscow told The Washington Post the Monday excursion was not an official diplomacy trip, and Paul was part of a "private group" of people meeting with Russian senators. The group also planned to visit St. Petersburg, Russian state media reported. Soon after news broke that Huffines was in Russia, his 2018 Democratic opponent Nathan Johnson sent out a fundraising email criticizing the trip. Huffines' twin brother, Phillip, who ran unsuccessfully this year for the Republican nomination in North Texas' Senate District 8, was also on the trip.